A true 4-way sidelift vehicle with a counter-balanced base. 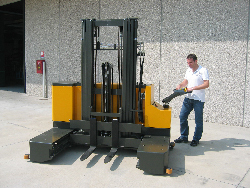 Add the optional ride on operator platform for additional versatility. 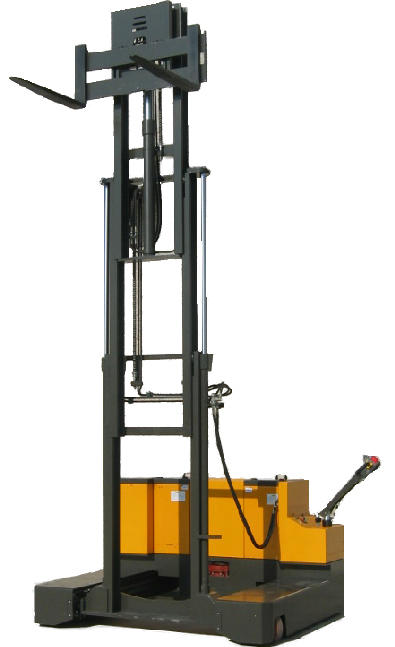 Capacities range from 3500 - 4400 lbs with many standard mast sizes to choose from. 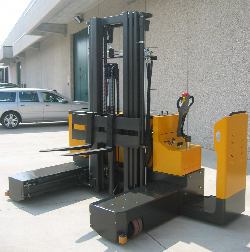 Vehicle built to suit various load sizes.